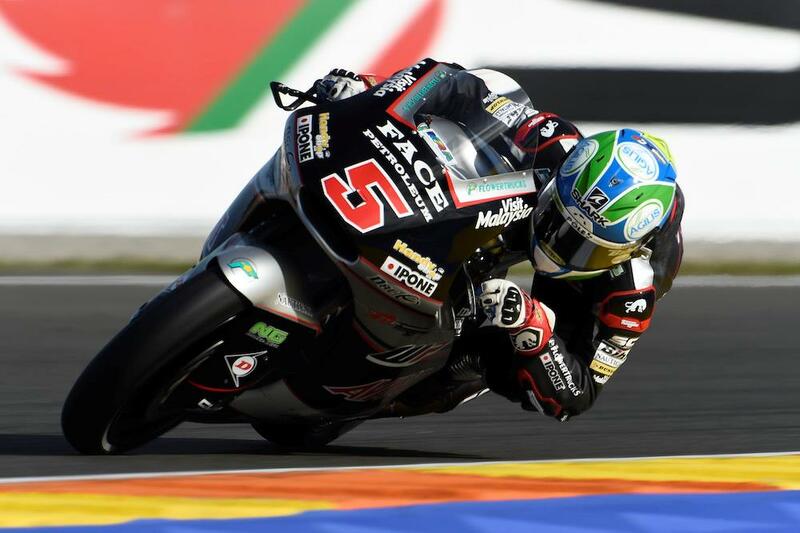 Johann Zarco brought an end to his Moto2 career with a stunning victory in Valencia this afternoon. The double World Champion fought hard with Italian Franco Morbidelli in the early stages of the 27 lap race but would soon pull the pin to ultimately triumph by 3.281 seconds in his last race before moving to MotoGP with Tech 3 Yamaha next year. Form man at the end of the season Thomas Luthi got the better of Marc VDS rider Morbidelli for second, meaning the former European Superstock 600 Champion would miss out on third in the title chase despite Sam Lowes getting the better of former title rival Alex Rins for fourth at the final corner. Takaaki Nakagami took sixth ahead of Mattia Pasini, while Jonas Folger bid farewell to the Moto2 class with an unexcitable eighth place. 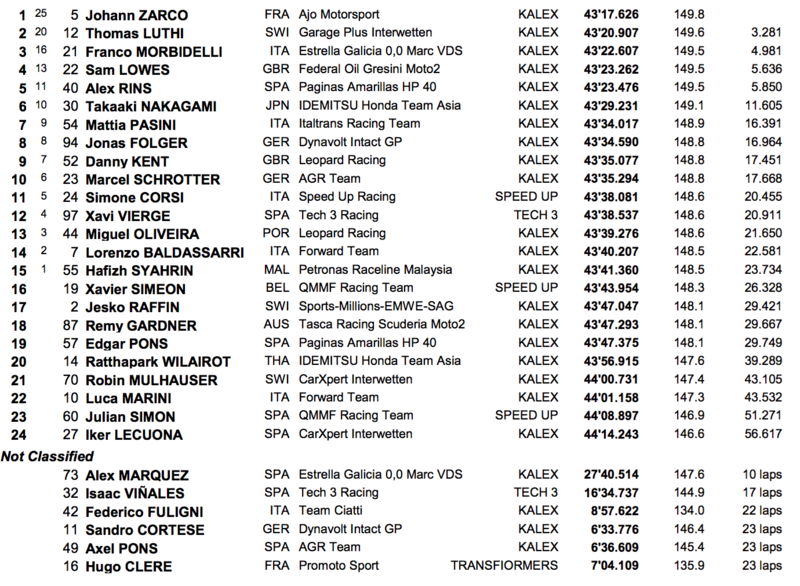 Danny Kent took his third top ten of the season in ninth with Marcel Schrotter completing the top ten.